When the lime trees bloom, it is time to go back to Sarajevo. In June, their perfume spreads throughout the city, embracing it in just a couple of days. Lime trees' blossom is like a drug. It has the same effect: makes us sweeter, shakes our soul. We become sentimental, a half smile appears on our faces, the expression of someone contemplating, remembering a secret, something beautiful and intimate. We regain our will to enjoy life, to work hard, to be happy, to look up our friends. 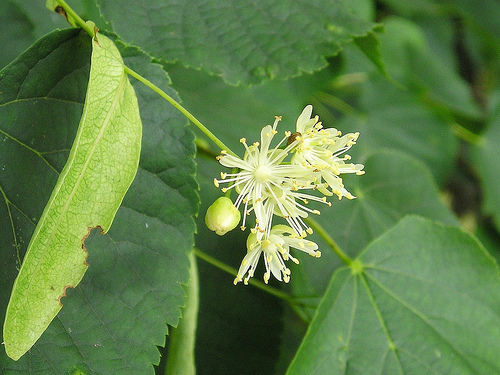 Of course lime trees flower every year, and yet that particular mood they bring surprises us every time. For a couple of days, we feel strange, we scrutinize ourselves. Then, one morning you open the window and the room is suddenly full of that perfume and you immediately understand what is happening. Everything starts from Vilsonovo šetalište, there is the breeding ground. An avenue in the centre of the city, about two kilometers long, on the right bank of the Miljacka River. It was the Austro-Hungarians who planted the lime trees, in four lines, a hundred years ago. They also planted trees in various parks and along streets, like the splendid one that for five kilometres flanks the road that leads to the source of the river Bosna. None of these places, however, has the same impact as Vilsonovo Lane. The Austro-Hungarians that ruled Bosnia a hundred years ago had named this Avenue “Kaljeva”, in honour of the then Governor of BiH. The name Vilsonovo comes from the 28th President of the United States - Thomas Woodrow Wilson. In 1917 he had waged the war that marked the end of the Austro-Hungarian Empire and of the Austrian occupation of Bosnia. From 1941 till the end of World War II, the Ustashas, the Croatian nationalists that had annexed the BiH to the NDH puppet-state (Independent State of Croatia), had changed the name from Vilsonovo to “Mussolini Lane” in honor of their ally. At the end of the war, the name Vilsonovo šetalište was immediately restored. Strange, though: the present authorities of Sarajevo, who have changed the names of almost all the city alleys, streets, avenues and squares (as many before them, they believe history began when they rose to power), have not touched Vilsonovo. There is only one explanation: even those now in power are fond of this place. Changing its name would be like amputating a part of their own past. As teenagers, Vilsonovo Avenue was our hiding place, we saw it as an accomplice to our adventures. Some of the branches of those age-old trees touched the ground: under there, we were safe from the worries looks of our parents, the deplorable looks of the teachers and the curious looks of the neighbours. You went into the Avenue for your first kiss, to taste for the first time the lips of someone who had bewitched you, to touch for the first time the white breasts of a blonde or a brunette. You went into the Avenue hesitating, with your heart in your mouth, and you came out of there transformed, more self-confident, hand in hand, thinking you were already an adult. There were also people who considered a girl “loose” if she “had let someone take her to the Avenue”. My neighbor, Ljubo, a renowned professor at the Music Academy, kept checking on his daughter and following her, trying to thwart her love story. He did not like her boyfriend. Suspicious, one night he went into the Lane to look for his daughter and her boyfriend. But he could not see anything in the dark. With an old wooden umbrella in his hand, the professor went from one shadow to another, and even hit someone on their back with it by mistake. Stricken by panic, some ran away; annoyed by the intruder, others started to follow him. The professor finally rushed out of the Lane and barely saved himself from the lovers he had disturbed. Once, I remember, the two lovebirds had gone down to the bank of the river. Lying on the grass, they were hugging and kissing, thinking they were well hidden. They were, on the side of the Lane, but from the other bank of the river, they could be seen as if they wereperforming on a stage. In very little time, leaning out the windows of the building opposite them were the heads of curious people cheering. It took the two lovebirds a while to realize. Not at all troubled, they waved to their audience and got back to where they had left off. At that point, the audience left the scene, embarrassed. The lime trees of Vilsonovo survived the 90’s war, too. The people in Sarajevo, desperate for some fire to heat themselves, would cut down trees, but not even then would they touch the lime trees on Vilsnovo šetalište. Indeed, they were spared by both belligerent parties, even though the Avenue was the front line of the war. There are 480 lime trees on the Avenue, and none of their trunks are carved with names or hearts, typical of lovers who do so to promise undying love. After our teenage adventures, Vilsonovo remained part of our lives. We met there, we went there to rest, to read sitting on a bench. We took our children, there, and then our grandchildren. It is customary to meet there with your old classmates to celebrate each anniversary of your high-school graduation. Every year in May and June, a bunch of high-school graduates meets in VIlsonovo. Unfailingly, for decades I met with my classmates each June. In 1991, a year before the war, I had come back from Belgrade. During the war, those who had remained in Sarajevo continued to meet there. Of course, more than a celebration, it was an effort, a “farse”, a way to pretend that life went on as usual. But they never gave up meeting there. The lime trees are in flower again, and I am getting ready to go back to Sarajevo. I am going to visit the ‘archetypes of the enemies’, ‘the members of the tribe you have always hated’, ‘the people who cannot coexist’. I always make fun of the typical statements that politicians released during the war and that journalists reported. Diplomats because they were not interested in stopping the war in BiH but only in containing the fire, journalists because of ignorance. If we really were people full of hatred who ‘bear resentment in their genes’, we would have not continued to nourish bonds and friendships, we would not have continued to look for each other and meet. The war was imposed on us from above, the high levels; hatred was encouraged and induced. It was not, as it never is, a natural-born feeling. I’m going to visit Mediha, big and tall, always on a diet, always with a few extra pounds. Mladen will be there: he was the class swot, an engineer who emigrated to Canada, where he patented some inventions, and who has come back because ‘he does not belong to that world’. Vinka, a refugee during the war with her small son, who was so sick of her relatives, she preferred to go back to the city under siege. Mirsada is coming back from the USA: we have not seen each other in almost 20 years. Nada is coming back from Australia: she is an engineer, too, and has made a career in the new continent. I was the God-mother to her first son, who got his green eye from his Dad Besim and his blue eye from his Mum. Ahmed is going to be there, too: he was one of the smartest, now he is Prime Minister and a rich man. He was able to do what we had all been dreaming of: offer our friends a gala dinner. Jova will be there too. I was madly in love with him, now I cannot even remember his last name. Magdalena is the organizer of this year’s event. During the war she remained in Sarajevo. She was first beaten in her apartment in the Grbavica Quarter, occupied by the Serbian nationalists; then, when she moved to the center, she was hit by a sniper’s bullet just a centimeter away from her heart. Vesna will be there, Branka and Gordana are coming back from Canada, Savo and Zvjezdana from Prague, Dario from Israel, Ranka and Dragan from Bileća, a town in the heart of the Republika Srpska. The ritual is always the same: we meet on Vilsonovo Lane, all dressed up and beautiful – we like to make a good impression. Then we go to the restaurant and we are a little tense, at the beginning. We start with the grappa so to ‘wet our appetite’, then we move on to wine and beer, we talk louder and louder, we interrupt each other, we laugh, we keep toasting, we all speak at the same time. Then the men loosen their ties, they take off their jackets, the women loosen their belts, all too tight, some of them take off their new shoes, because their feet hurt. ‘We’re amongst us’, we keep repeating ‘Remember….’, we crack old jokes, we recall our adventures together. Then the music starts: at first composed, we listen to the orchestra. Then we start singing together “od Varada pa do Triglava”, i.e. the song of all the peoples that once lived in Yugoslavia. And when we get to the inevitable “Lipe cvatu” (‘The lime trees are blooming’, by the group “Bijelo Dugme”), we scream, our veins swell, our faces become dangerously red, our eyes look as if they are going to explode at any moment. Former high-school students keep meeting, after the last war, to celebrate 20, 30, 40, 50, even 60 years after their graduation. However, those who finished school after the last war are not there. I think of them and am overcome by sadness because, even when they celebrate, they do not sing “od Vardara pa do Triglava”. They grow up, not together, but one beside the other, within the mental borders that are creating parallel worlds, hostile towards each other. They do not sing “od Vardara pa do Triglava”, but “Noz, zica, Srebrenica” (‘Knife, barbed wire, Srebrenica’), or “ubij, zakolji, da Srbin ne postoji” (‘kill, slit their throat, may the Serbian disappear’). New generations are growing, pure generations. Their purity, though, is nauseating, because they claime national, religious and ethnic exclusiveness.